September is a beautiful month in Vermont to get married. Recently my niece decided to, not only get married in September, but to do it at our house. We were happy to help her and her husband create a beautiful outdoor wedding ceremony and celebration at our home. We were particularly happy to help with the flower arranging! 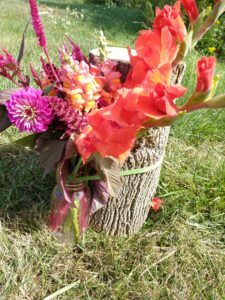 Our niece loves native flowers, but also wanted bright colors in her arrangements. To bring her vision to life, we styled the vases filled with seasonal flowers such as goldenrod, hydrangea, sunflowers, zinnias and asters. These wildflowers, mixed with traditional flowers such as roses, snapdragons, gladiolus and lilies, made for stunning vases and bouquets. Whether it be spring, summer or fall, there are always some native flowers that will add to the beauty of a bouquet. If you’re planning an event that needs flowers, take a look around your area first to see what’s blooming in the wild. You can supplement these wildflowers with cultivated ones to add bursts of color. It’s a great combination. While arranging flowers in vases was straight forward, getting them attached to the wedding arch, lovingly made by the father-of-the-bride, took some thought. Luckily, I had some green VELCRO® Brand Garden Ties handy to help secure the wildflowers and vines to the arch. It created a rustic, yet elegant, look that everyone loved. And no one noticed the VELCRO® Brand Garden Ties holding the flowers to the arch. 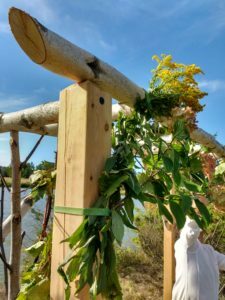 We even used Garden Ties to hold the vases on the logs at the ceremony because of the wind. Regardless of the event or occasion, to help keep the cut flowers fresh, recut the stem bottoms just before arranging the flowers in vases. If possible, try to cut the stems under water so air bubbles can’t enter the stem and impede the flower of water. After the event, change the water and recut the flower stems every few days and the flowers will last a week or so indoors. 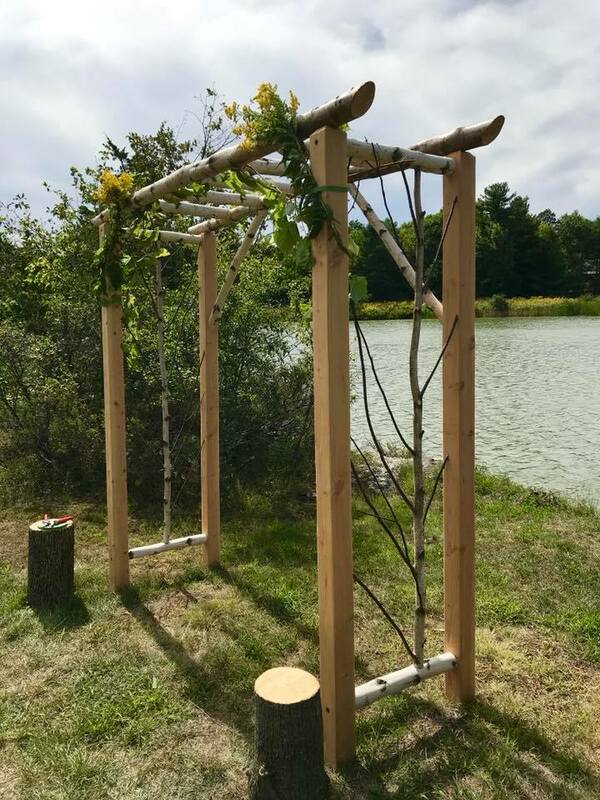 With our creative use of the VELCRO® Brand Garden Ties, the flowers looked beautiful and the wedding was a success!